OK, thats the backstory - What do you use for power jigging, do you like it ? and recommendations for me to research? you said you wouldnt mind something lighter? how much line capacity would you want, and how much drag exactly? Also isnt your existing workhorse a conventional reel? I have a Penn Battle 5000 and I love it. They have a 7000 and 8000 which offer 25#drag. The Penn Conquer which ive used before and some forum members also have, offers 32# when you go to the 7/8000 range. Penn also has the Torque model which has an insane amount of drag: 38#-50# but i've never used it so I can't offer any perspective on that. If you do a lot of Aj jigging I strongly recommend you get a Saragoosa 18000, a tad on the heavy side but puts out more drag than you will need and won't tear up after a few jigging trips jigging jacks. So - Saragosa is durable you say ? I blew up an 8000 jigging jacks in 6 months the first time and 4 months the second. I bought an 18000 and have not looked back since and that was 2 full years ago. It does have the power to stop a ragging Jack over a wreck or big reef. I know of several smaller version reels in various makes that have bit the dust jigging jacks. It's like trying to stop a freight train. Any other of you guys have Jiggin spinners you like or dislike ? Conquer 7000 small and light… for a conventional I use canyon HS-15 Pro series jigging reel 6:1... Insane stopping power..
Ive had a few guys on a few forums try to convince me that the 18000 or even 14000 Saragosa is too big and heavy to jig all day and would be overkill...HMMMMMMMMmmmmmmmmmm....dunno. If you had to do over, would you think there is sufficient stopping power in a reel of that size? ALSO - Do you think the graphite body on that reel will hold up? I was on a budget and ended up picking up a trevalla rod and shimano spheros. Not too heavy and it's super smooth. Can't say much about how it holds up as I've yet to really fish with it! My Shimano Sustain 8000 brought up many large AJs and groupers from the wrecks. Plus it comes with an extra spool which you could load with mono and use it for tarpon. Rob loves his 7000 Penn as do a couple others and a few Gosa BIG reel Suggestions - Couple3 Fin Nor guys as well.... Good to know I dont need to go super heavy on the spinner....Though I am a little concerned W the graphite bodies on the 8000 series reels, it seems like so far so good from you guys. Good to get this feedback fellas ! Thanks and keep it comin. Take a good look at the Penn 7000 Conquer. For a Penn it is very light and now that I put 50lb SpiderWire on it not much gets away. The last video I posted, I had 30lb on and I could not stop a few. For kayak fishing it is the best when it comes to cleaning. You have to check it out. It is my No.1 reel for kayak deep jigging. I'm here to tell you then they are sissies because I use mine each and every trip out. Yes it is heavier than the smaller reels but the smaller reels don't hold up under heavy drag pressure. Ajs over big structure equals backbreak and heartache when you don't have the stopping power needed to turn him from the wreck. 8000 go for it, if you jig alot it won't last a year. I severely blew two up in less than a years time. I discombobulated the main drive train the second time. I'm tellin ya Aj's are freight trains. I'll even tell you I had a V groove in my Saragoosa 8000 spool because the rotor flexing from applying too much pressure to stop Ajs. Hey cooking, hope all is going good man....I use Diawa Saltists I ahve a 5000 and a 4500...the 5000 has 33lb drag and the 4500 has 22lb drag....I am using the 4500 mostly because the 5000 is just overkill. 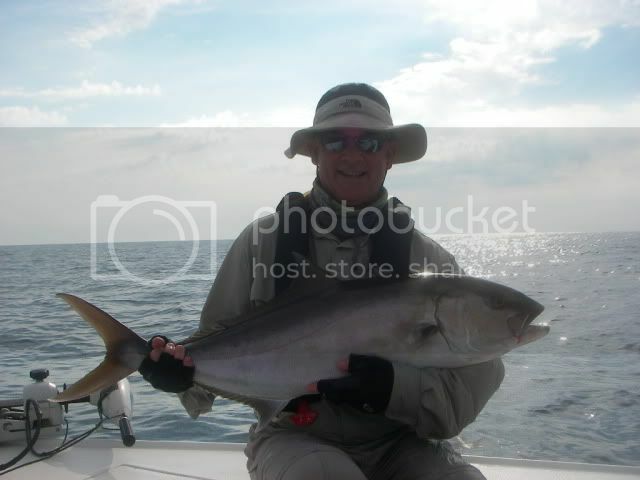 Haven't had any problems with the Saltis 4500H...so far 12 amberjacks 20 to 35 pounds and many kingfish and bonitos on it. So far it's a great smooth reel. X3 for the conquer 7000. I stick to the basics that have been working for years...update your ssm. That's my personal belief, my go to rod/reel is out the door for 160...almost disposable. (Never had one break though) I just get the Penn 850ssm with the 7' slammer rod it comes with. It holds roughly 600yds of 50# braid, you may think that's too much, but, you never know what kinda **** you'll get into. Plus, when you've about worn your braid out, just flip the spool inside out and your old line is a few hundred yards in. That's my vote, has never let me down, and just grabbed another from BPS today. ya i will love to go.. i will bring a very nice jigg rod for you to check out.. look on my website at rod #15 0f 25 on the rods page.. its a bad *** jigger .. i also have it listed on ebay.. but if it doesnt sell i will bring it to pull on and i will be fishing it, so you could at least check it out..
i dont think you or anybody can keep up with bolo he has way to much $$$$..
Types of fish.. And If I had to do it again I would. Thanks for the feedback guys -!! Picked one up for my old man. Reelemin - you are right - BOLO is a fanatic in all that he does - AND i love him for it and hope to be just like that one day ! Congrats on selling Ricky your boat, buy the way - He is a great guy, known him for years and Im sure he will enjoy it to the max! I will check out the rod you built for sure! Joel - I am still a believer in my 750 SS - its bulletproof. But how do you wrangle 30# of drag from it though ? What updates? I got SOME GREAT Feedback here guys !! Exactly the kind of stuff I needed to help make a choice! Thank you all so much ! I have picked up quite a few large (30+lb) AJs on my conquer 7000. I have never had an issue with the drag. I used Penn 650s and 750s before that. The SS reels were ok but a bit too heavy and cumbersome. I think a smooth drag is important but I'm only using 30lb braid so I don't see a need for more drag then the 7000 has anyways. Remember we are on kayaks and we are going to get dragged regardless. I'm not pushing the conquer over any other reel, just sharing my experience. I do not like jigging with oversized spinning reels from the kayak. It less a weight issue and more about having the reel on your lap or banging into you leg while jigging. Shimano Saragosa 8000 is my favorite jigging reel! Also, have you checked out the Hopper rods for jigging? Capt Harry's carries them.